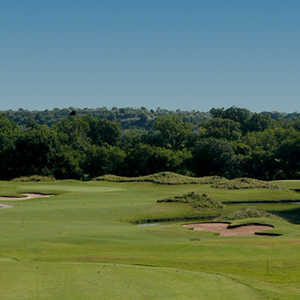 The 18-hole Split Rail Links & Golf Club in Aledo, TX is a semi-private golf course that opened in 2002. Designed by Phil Lumsden, Split Rail Links & Golf Club measures 7353 yards from the longest tees and has a slope rating of 138 and a 76.2 USGA rating. The course features 5 sets of tees for different skill levels. Dress code: Appropriate golf attire. Shirts with a collar are required. Course has interesting layout, good design. Need to work on a few greens that are a tad unfair in that , while large , don't hold on either high or low shots. No. 11 GREEN IS A JOKE.. Pin in the front left means : hit the hole on any shot or be off the green front and down into a drainage ditch. Lousy design, it does drain water but it also drains the golf balls into the same drainage ditch. Absolutely the ball never stopped - don't use that quadrant would help, but not cure. Clubhouse was nice, lunch at grill was good. 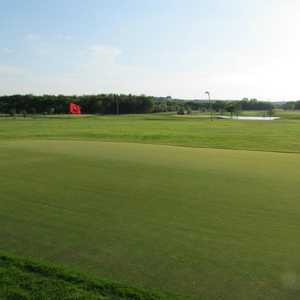 I played the course on Sunday, July 19, 2015. This is a very good track with some very nice holes. Some holes have a links type of feel. The greens rolled true and the fairways were in excellent shape. The only thing keeping the course from receiving a higher rating is their sand traps. Calling them sand traps is inaccurate. They were dirt traps and they had not been raked or worked by the ground staff for quite some time. They were hard and brittle. I tried raking one and the rake just scrapped on top of the dirt. After trying to hit off of the crusted dirt my foursome decided that we would consider them unplayable for our round. Course has potential but management needs to take action on their sand traps. Interesting and challenging and most always in great shape. Links style course with quite a bit of water. Hitting 'em stright serves you well.